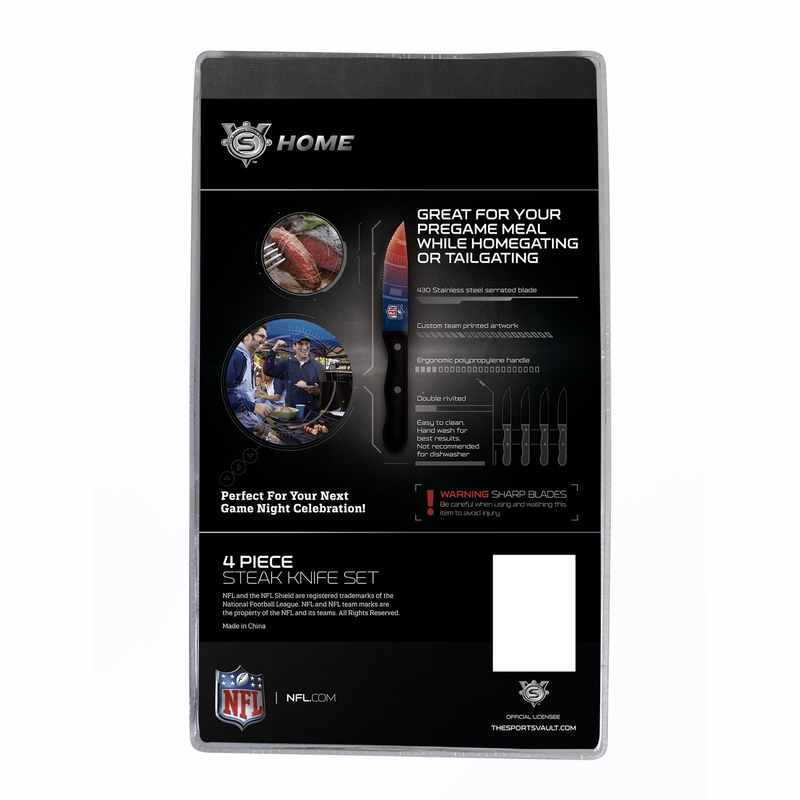 Spice up your next barbecue, tailgate, or game party with the Atlanta Falcons Steak Knives Set of 4.You will easily cut throuigh steaks and impress your friends with this Nfl officially-licensed knife set. 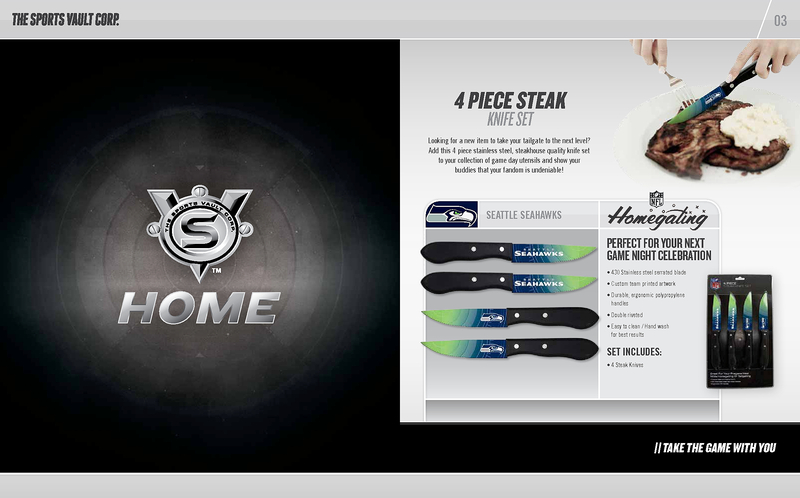 From the blade through the handle, each knife features dynamic Falcons team artwork and logos. To ensure your knives continue to look brilliant, they are dipped in surecoat to prevent fading. The blades are forged from ultra-durable stainless steel and include strong serrated edges for quick and easy cutting without the need to sharpen. The handles are made soft-grip, non-slip, ergonomically sound polypropylene and are secured with two stainless steel rivets for longevity. All knives in the Atlanta Falcons set have been tested and passed food safety regulations. Show your team spirit for the Atlanta Falcons and be the talk of your next tailgate or game day celebration with the Atlanta Falcons Steak Knives Set of 4. 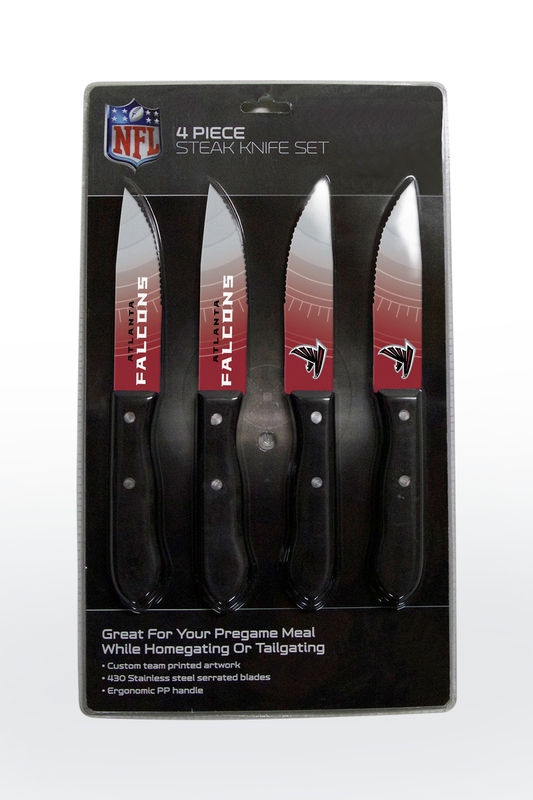 Order the Atlanta Falcons Steak Knives Set of 4 as a gift for a friend or for your own use.